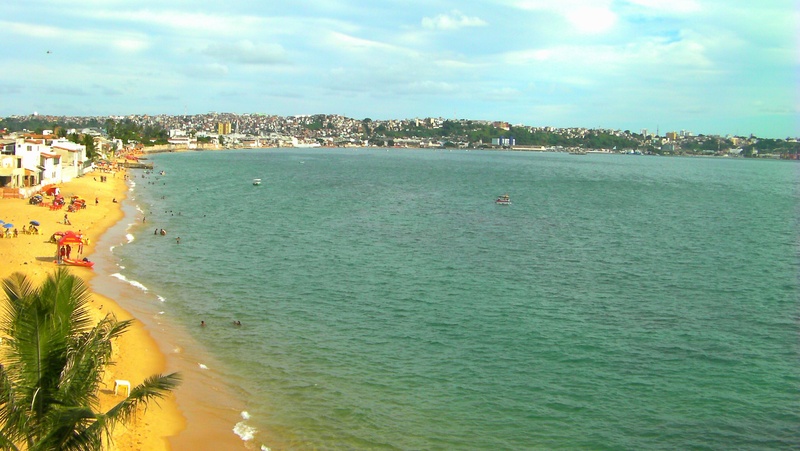 More by luck than judgment, we arrived in Salvador a few days before the start of the Festa do Bonfim (Feast of Bonfim), Salvador’s second most popular festival behind Carnival, and we jumped at the chance to soak up the festival fever. 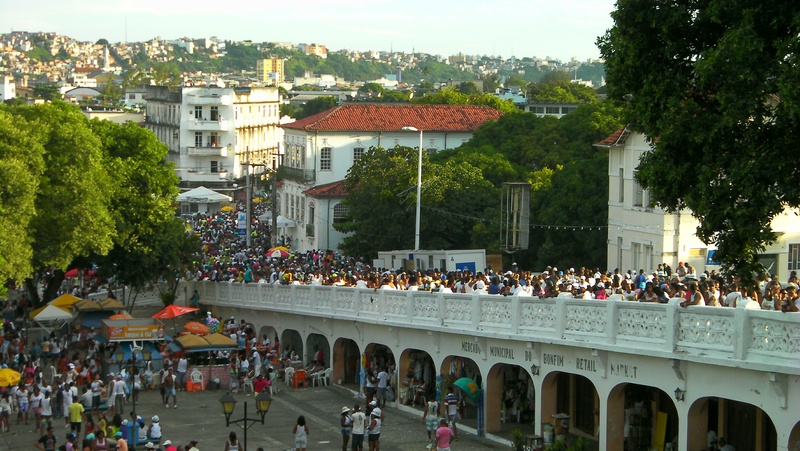 The annual festival lasts for ten days and kicks off on the second Thursday of January in the most spectacular fashion with a huge all-day procession attended by thousands of people who walk across Salvador to the Church of Nosso Senhor do Bonfim, where they undertake a ritual washing of the steps called the Lavagem do Bonfim (Washing of Bonfim). 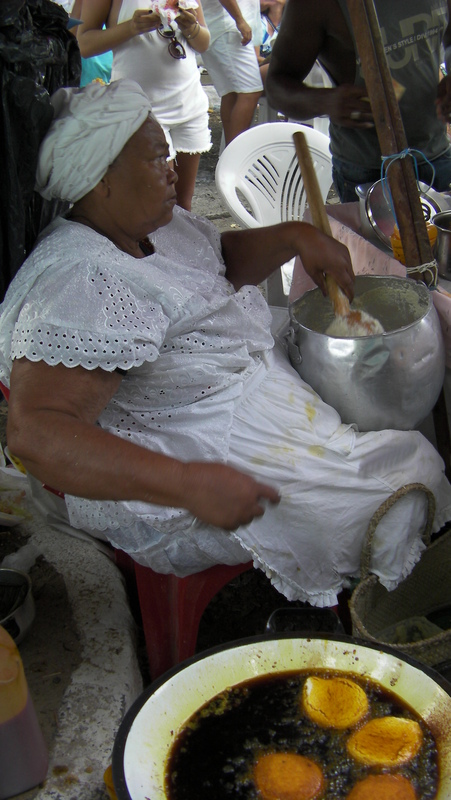 The following street party is packed with costumed dancers, rhythmic drummers, music cranked up to full volume, traditional food and drinks aplenty. 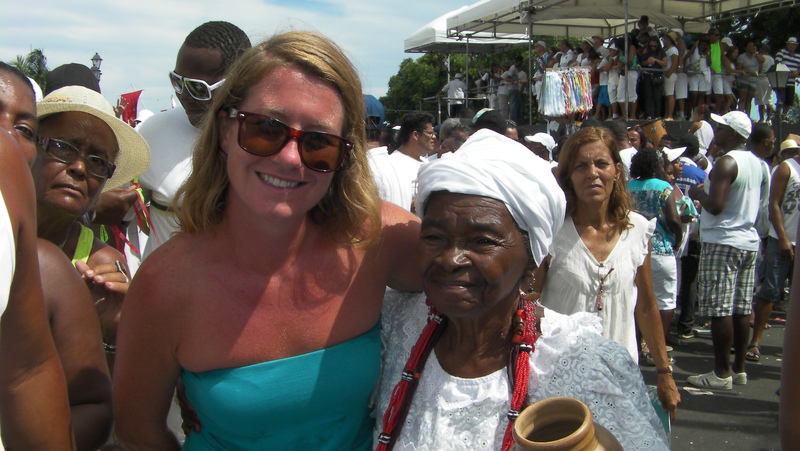 The festival history goes back almost 250 years and pays homage to the region’s melting pot of cultures and beliefs created as Portuguese settlers and African slaves lived and worked side-by-side to create Brazil’s new capital city. 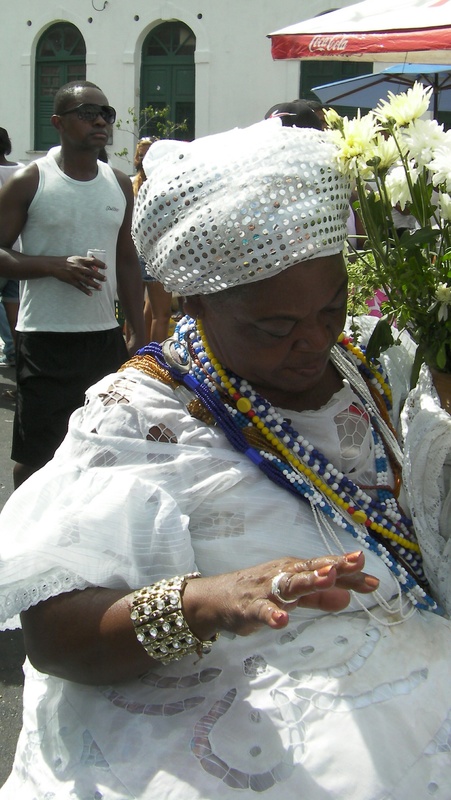 Slaves were forbidden by their masters to practice their African religion (Candomblé) and so many used Catholic saints and symbols to represent their own gods and continued to practice in secret. 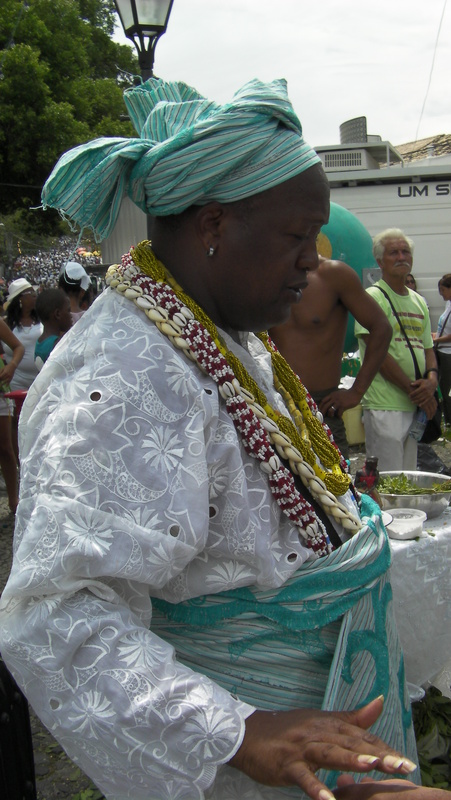 This created a fascinating evolution of faith combining elements of both religions which is now widely practiced throughout Bahia. 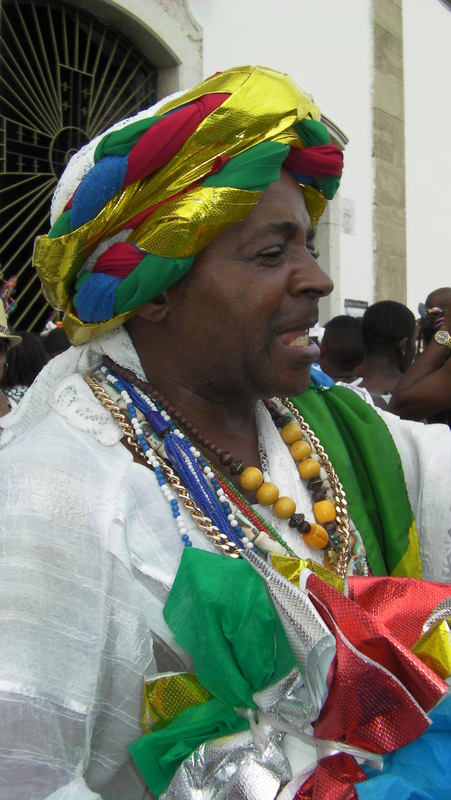 The Church of Nosso Senhor do Bonfim was built during the eighteenth century in a predominately black neighbourhood and is the festival’s focal point where worshipers pay tribute to ‘Our Lord Bonfim’, Bahia’s patron saint, and Oxalá, the Candomblé Spirit. 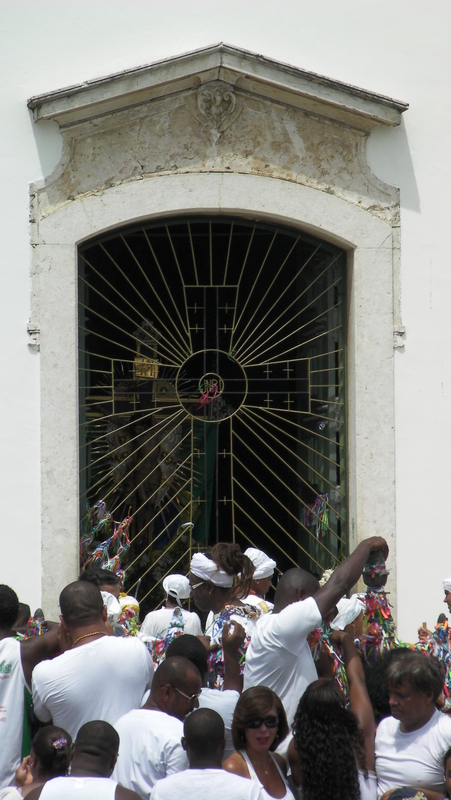 The day starts with an early morning mass at the Church of Conceição da Praia and following that the faithful procession is led out by a group of Bahia ladies wearing traditional white clothing with their hair wrapped in turbans and coloured beads draped around their necks. 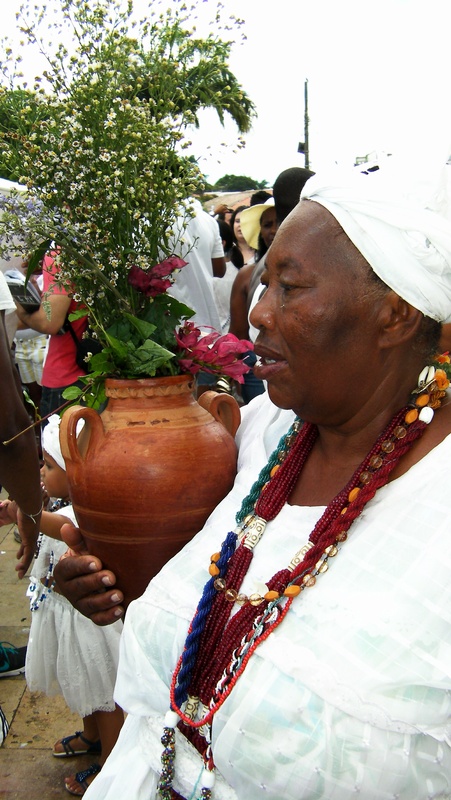 The ladies carry with them urns of blessed and perfumed water adorned with colourful flowers which will be used to wash the steps of the Church of Nosso Senhor do Bonfim. 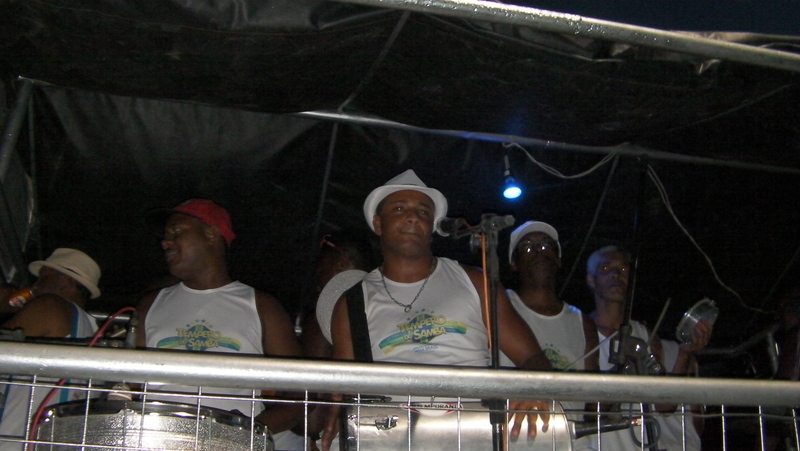 Teams of local samba and reggae groups, each comprising dozens of members, accompany the procession. Drums and electric guitars pound out deafening Latino beats encouraging the masses to pulse down the street, sweeping up everyone in their path. 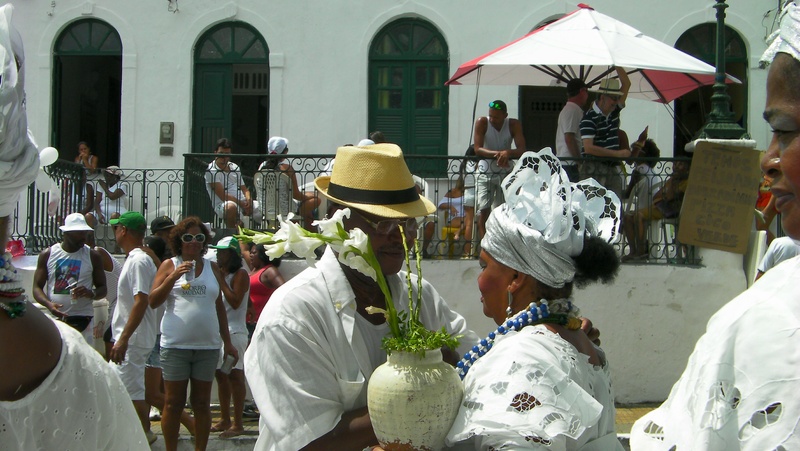 People dress from head to toe in white and carry giant flags significant to Salvador culture. The whole neighbourhood, from toddlers to grandfathers, follows in their wake, grooving from side to side. 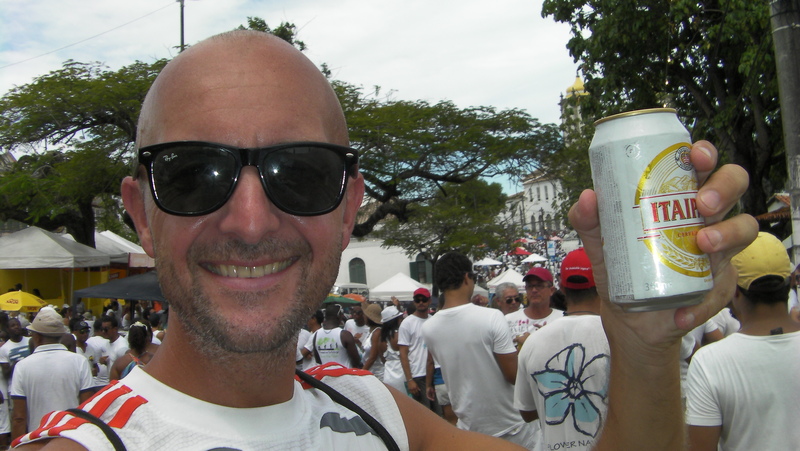 To keep the crowds going, street vendors sell food and drinks from barracas (stands) all along the route and guys with cooler boxes offer cheap capirinhas, beer, barbecue, and everything in-between. 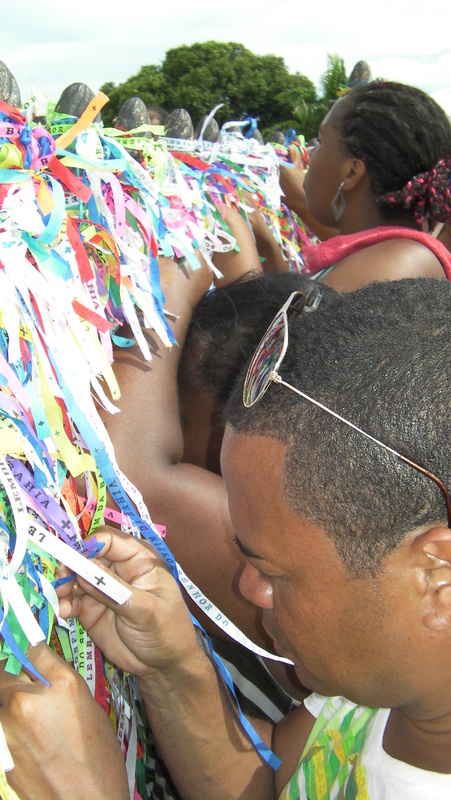 The joyful procession takes several hours to cover the 8 kilometre route passing through the Cidade Baixa (Lower City) and finally reaching the church of Nosso Sehhor do Bonfim at around midday, where more crowds are waiting to join the party. On arrival the congregation sings songs praising Nosso Senhor do Bonfim and Oxalá. 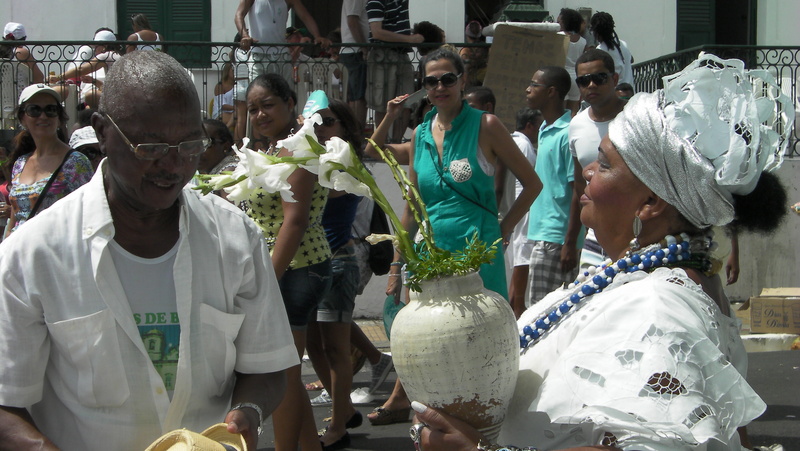 Catholic priests and Candomblé priestesses scatter their scented water on the stairs of the church and use brooms to wash them. Entry into the church is not permitted on this day but the image of the saint is displayed at the main door. 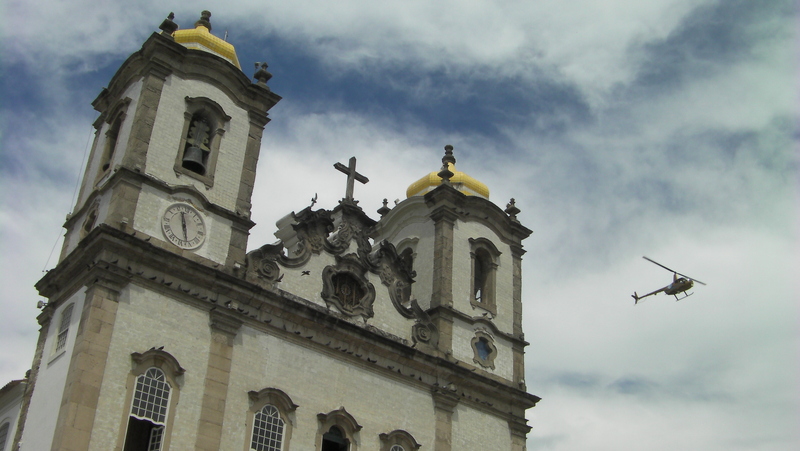 Famous for its miracle cures, the church of Nosso Sehhor do Bonfim draws people from far and wide who pray for sick loved ones and self-rejuvenation. 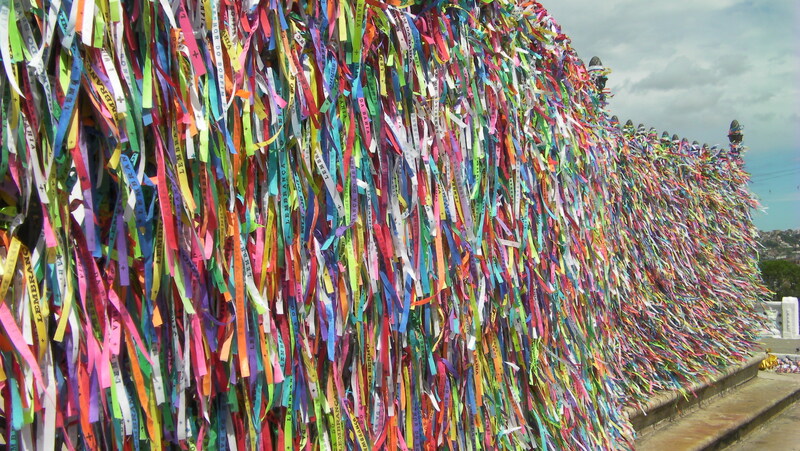 Colourful ribbons called fitas are a symbol of the church and can be seen everywhere from the church railings to people’s wrists. The owner of the ribbon makes three wishes that will only come true if the ribbon breaks through natural causes. Believers also give offerings to their saints to appease them and bring good fortune so don’t be surprised to see small piles of food, flowers, shells, jewellery, perfume and even tobacco lying around the church. The festival may seem like a fantasy with people dressed up and acting a part but the religious and spiritual significance is very real for a large number of the congregation so always offer your utmost respect. We watched as blessed water was poured over people’s hands and heads outside the church, and these individuals were profoundly moved. Several people even started crying or shrieking with both delight and sadness. 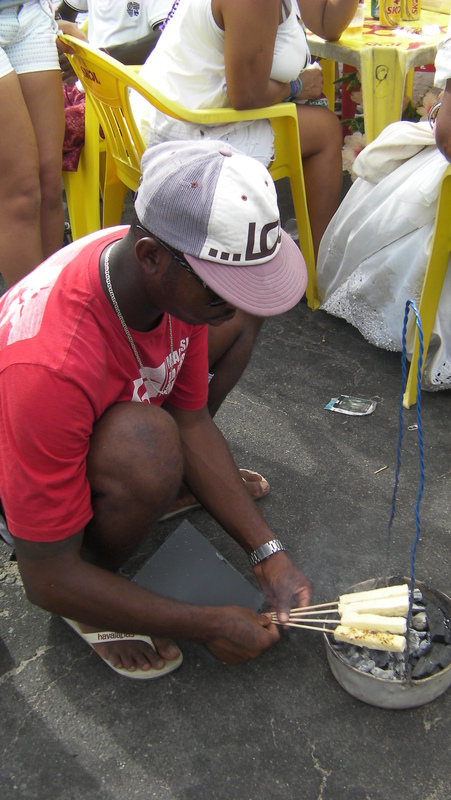 Once the traditional ceremonies are completed then the hedonism really gets into full swing. 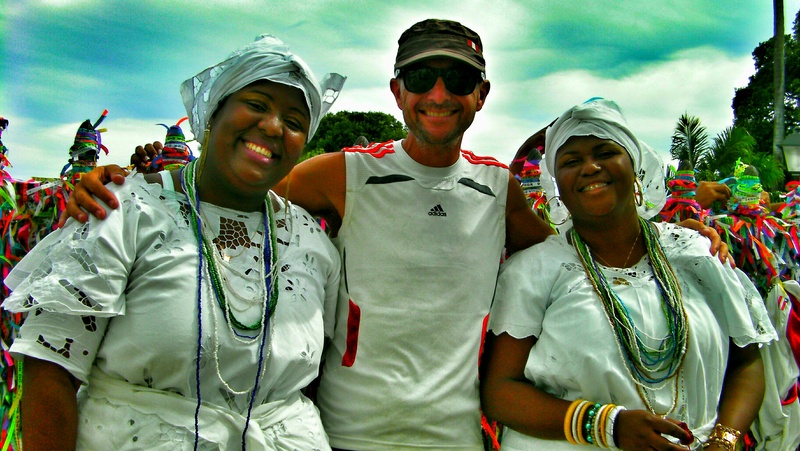 Brazilians are very multicultural and the festival welcomes people from all walks of life. Large groups of people gather together with a drink in hand laughing, flirting, singing and dancing. For that moment in time, people can forget the daily grind and be free. Shut off the outside world, the festival is the only place to be and the euphoric crowd knows it. Afro drumming blocos, who have their roots in the poorer black communities, ramp up the volume with their soulful beats. Drums of all shapes and sizes slung around necks and secured around waists combine to make a riot of sound. Capoeiristas join together in large circles and perform rhythmical twists, kicks and flips. Round and round they go, their bodies taught and covered in sweat. The hypnotic sounds of the berimbaus (basic string instruments) and drumming controls the pace of the movements. 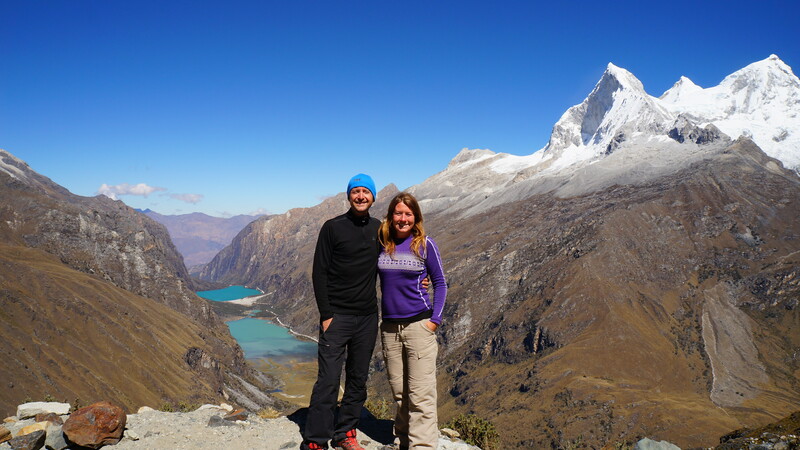 By 3pm the temperature had reached 35C, and we needed a break from the crowds. We took a short walk down an avenue to the left of the church of Nosso Sehhor do Bonfim and towards the Baia de Todos os Santos (All Saints Bay) to discover the laid back neighbourhood of Boa Viagem. 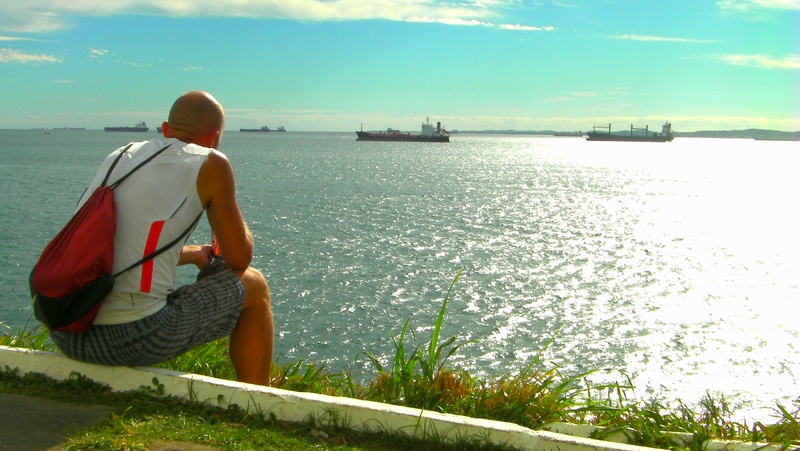 We caught our breath and enjoyed the views over the golden beach and back towards the city. We slipped back to the festival in time to see crowds of young people following behind giant trucks called Trios Eletricos blasting carnival music. 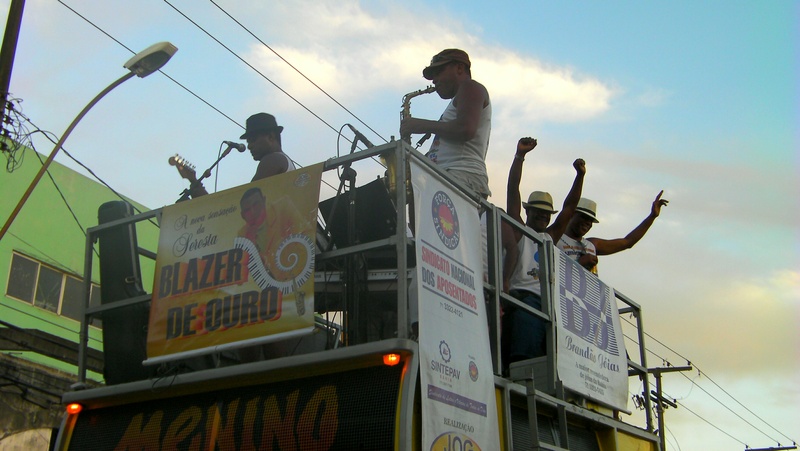 The trucks are topped with gigantic sound systems and some of Salvador’s most talented and lively bands. With our hands waving skywards, we instinctively followed behind the trucks, our bodies shaking to the fast beat. We partied until darkness fell and our legs could barely carry us any further. We made our way back across the city from where we came, the revelry still in full swing around us. 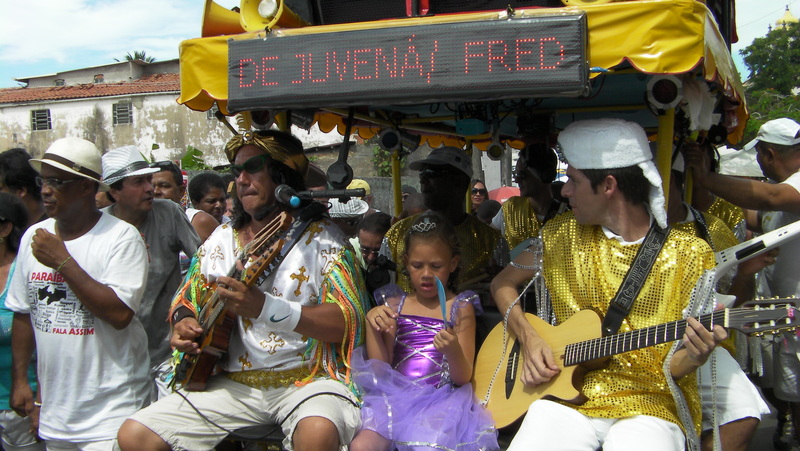 Salvador’s intoxicating, party spirit has remained unchanged for hundreds of years. 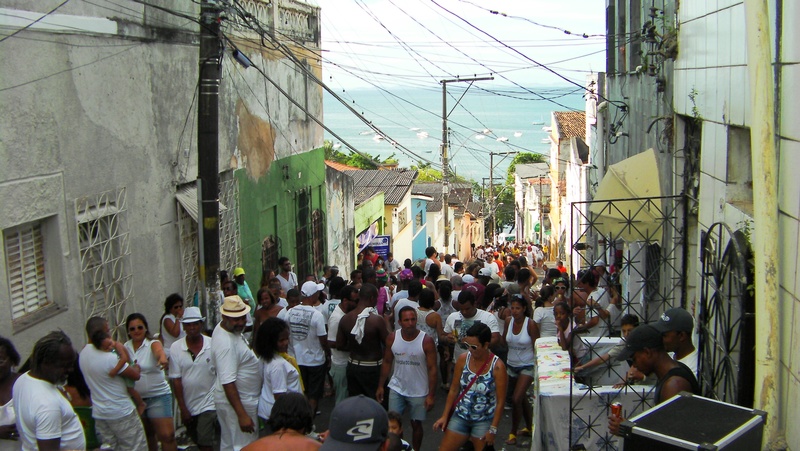 As early as the 17th century, Bahia’s reputation for debauchery earned it the nickname Baia de Todos os Santos e de Quase Todos os Pecados (Bay of All Saints and Nearly All the Sins) and nowadays, decadence is still the order of the day during festival time. 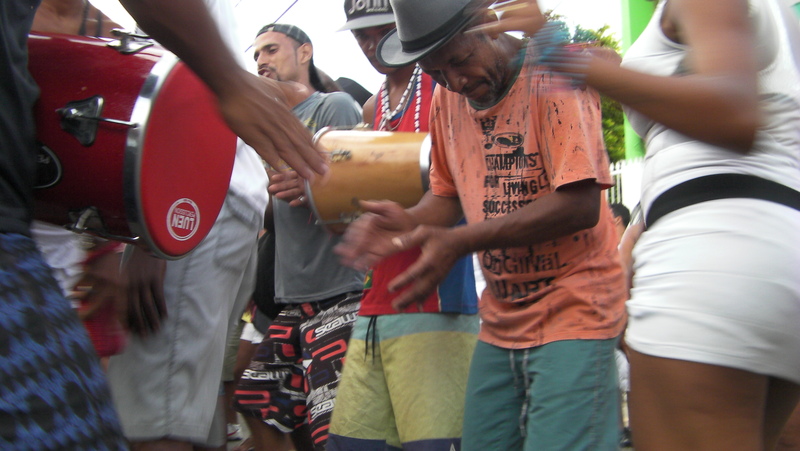 We’d had our first taste of a Brazilian festival and hoped it would not be our last!